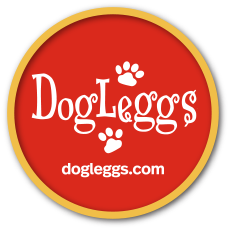 Full Length Adjustable DogLeggs are custom made based on the measurements you provide; this product usually ships 3 - 5 business days after the order is placed. Full Length Adjustable DogLeggs provides coverage, padding and protection of the elbow with coverage extending to the top of the paw. It is most commonly used for animals with lick granulomas that are in proximity to the elbow and/or along the length of the forelimb. Full Length Adjustable DogLeggs allows for insertion of a donut, if needed, to treat deep wounds of the elbow or can accomodate a light bandage, if needed, for open wounds. 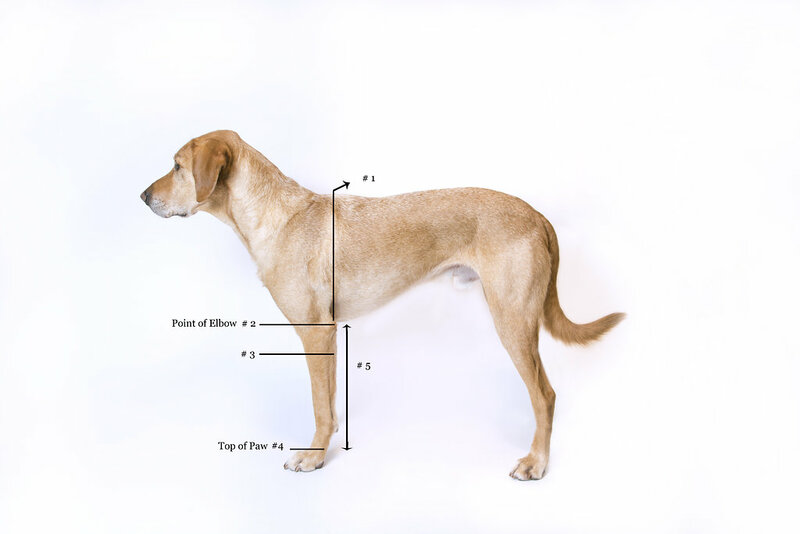 ** Alternate Measurement #3 (Both Legs) - If Measurement #5 is 6 inches or less, measure half way between the Point of Elbow and Top of Paw. Full Length Adjustable DogLeggs is constructed from a 3-dimensional fleece-faced, highly breathable, 4-way stretch textile with wicking properties. This material allows air to circulate underneath. The elbow padding also reflects body heat back to the joint keeping it warm. The elbow cuffs contain padding sufficient for giant breed dogs. VELCRO® Brand fasteners are used for adjustment and attachments. The product is machine washable.